My section of the run is segment 5. I will begin running from Nephi, UT on May 8th, 2019 and finish running in Vernal, UT on May 14th, 2019. (approximately 187 miles). This segment runs through the Wasatch Mountains and I am told, it is beautiful. *I will now also be running a portion of segment 7, roughly 125 miles. . I will start this run on May 24th and run through May 27th, ending in Denver, CO. 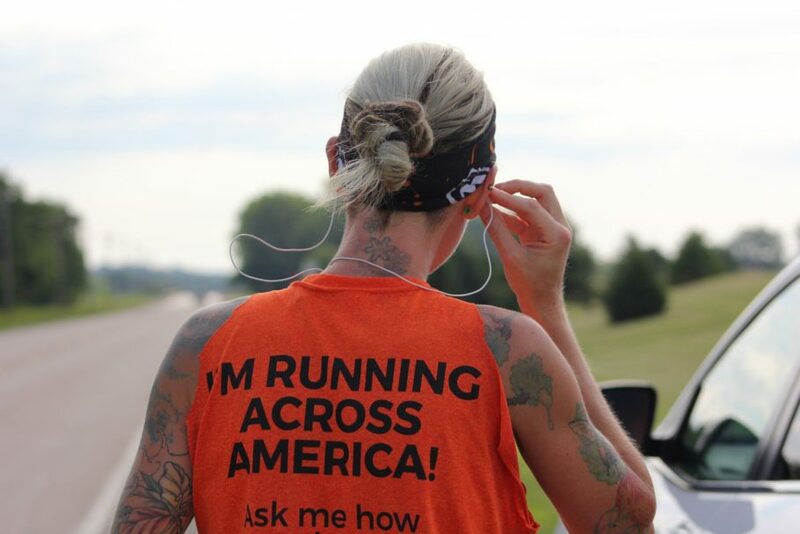 I have been running most of my life, however, it wasn’t until 2013 that I really became a runner. After the Boston Marathon bombings, I decided that I wanted to take a stand with all the other runners out there, that were not going to sit on the sidelines while our sport was the target of terrorism. After a great year of firsts, in my running life-first marathon, first Ultra marathon, first Half Ironman Triathlon, I yearned for something more. I wanted to make a difference using my athletic gift. I wanted to help others with this gift. In 2014, I started fundracing (raising money for a cause through racing). My first choice of fundraising was for MS research. I know quite a few people who have struggled with MS, so I thought it would be a great cause. I was successful in my fundraising efforts in 2014 as well as 2015, and beat my fundraising goal both years! For 2016 and 2018, I was lucky enough to be chosen as an athlete for this AMAZING relay team and surpassed my goals. In 2019 I am back again to crush my fundraising goal once more and greatly appreciate all the support from every one that donates, shares my page, and cheers me on along the way! My efforts would be impossible without the help of everyone!